Kris Pflaging with Maijuna children. Five Many-banded Aracari (a type of toucan) are feeding in some trees and have attracted the attention of two Maijuna children. Walking across the field the children sit down in the grass near the edge of their village to get a closer look. They are using binoculars and are quick to fully immerse themselves into the joys of bird watching. I and the other educators in our group look at each other and smile. 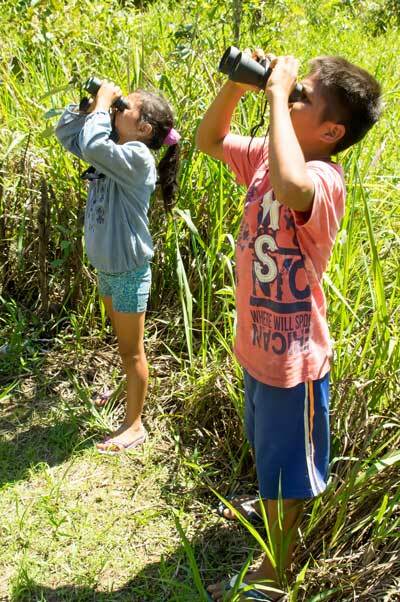 The Amazon Binocular Project is working; children in small village schools dotted along the Amazon and Napo Rivers in Northeastern Peru are falling in love with birds. Percy Reyna and Cesar Sevillano with the new curriculum. We asked children at the village school in Saint Martha if they had any favorite animals. To our amazement nearly half of the children responded with specific bird names! Their teacher had recently attended a workshop where she and one hundred other local instructors received environmental science training. 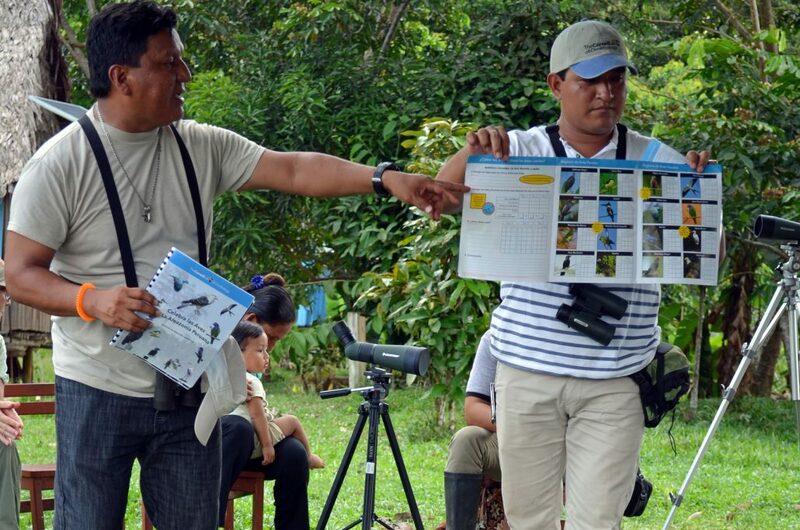 While at the workshop the student’s teacher obtained a copy of Celebra las Aves en La Amazonia Peruana, a new environmental education curriculum designed specifically to teach them about their local birds. 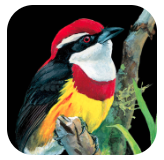 The teaching guide was designed by Karen Purcell and her Celebrate Urban Birds team at Cornell Lab of Ornithology along with the help of Peruvian teachers and Percy Reyna and Cesar Sevillano, the two bird guides who have been leading our efforts in Amazon schools. Brian Landever, director of CONAPAC, a local NGO, organized this professional development event for the teachers, and together with Pam Bucur, general manager of Explorama Lodges, created a check-out system for schools to use our binoculars. Both Pam and Brian have noted a huge increase in birds featured in student artwork at remote schools CONAPAC serves. Cesar helping student focus on a bird. Teacher participants of the Educator Academy in the Amazon Rainforest, an annual teacher workshop attended by U.S. educators,assisted Percy and Cesar as they introduced proper binocular use to the students of Saint Martha. This was the first time the students had used binoculars and they were thrilled to practice focusing on distant objects. Percy and Cesar’s patient mentoring soon resulted in students spotting birds in a nearby tree. As our time at the school ended, it was obvious the children were hungry for more time with the binoculars. Sierra High School students from Colorado visited the small school at Canal Pinto for a community service day with CONAPAC officials. They worked with community members to paint the school and plant a garden. Several of the high school students worked side by side with local students to paint a Great Kiskadee and a Ringed Kingfisher on the wall outside the kindergarten classroom. Sierra High School students also brought some binoculars to Peru for the Amazon Binocular Project and took the opportunity to introduce the young Canal Pinto students to their first lesson on how to use binoculars. 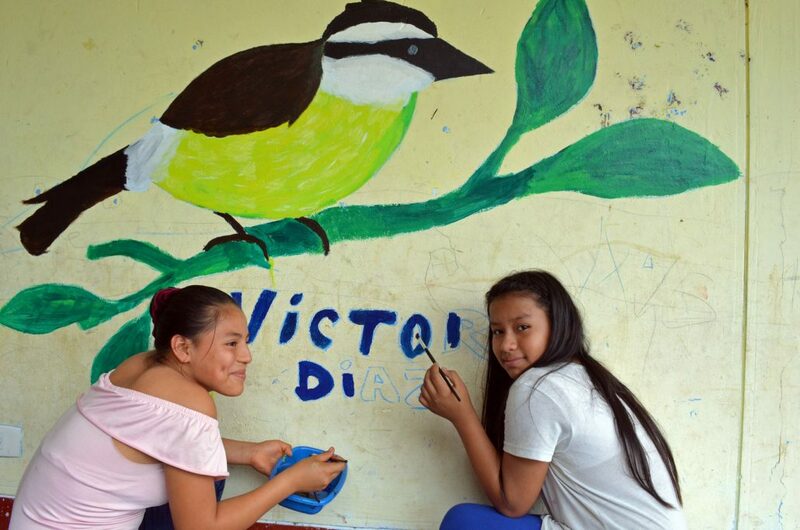 Canal Pinto students paint “Victor Diaz”, a Great Kiskadee on school. 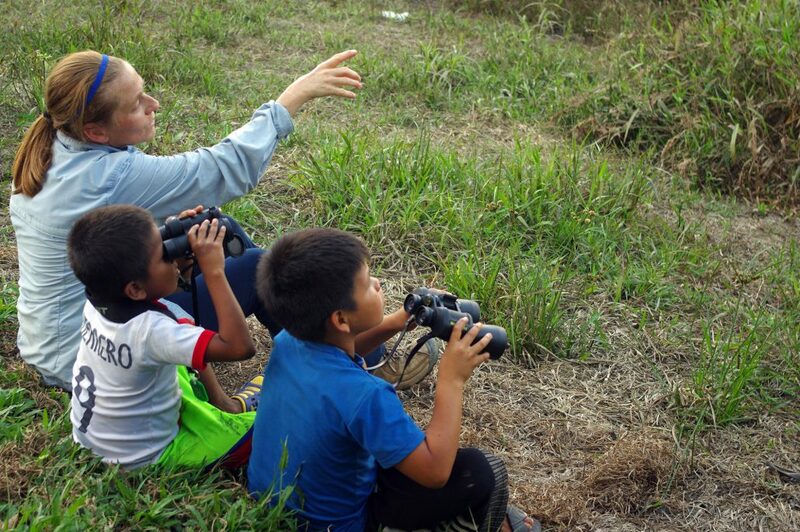 The Amazon Binocular Project was officially launched in November 2016 when Christa Dillabaugh, director of Amazon Workshops set up the webpage and coordinated with the EcoTeach Foundation to receive donations. In two years’ time my students at Tualatin Valley Academy have inspected and cleaned over forty pairs of used binoculars for bird conservation education. Last winter our friends at Eagle Optics provided a deep discount during their “going out of business sale” resulting in donations of fifty pairs of new binoculars. Additional binoculars have been dropped off at the CONAPAC office in Iquitos by educators and visitors to the rainforest. We now have nearly one hundred pairs of binoculars in classroom sets of five being checked out by teachers each month. 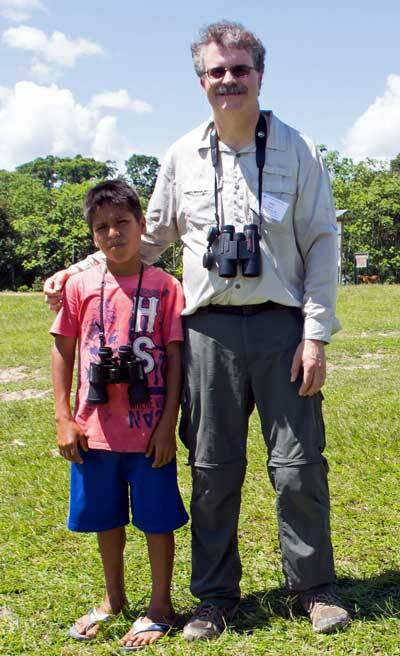 Teacher and student demand for binoculars in the Amazon has never been greater. To reach all the CONAPAC schools requesting binoculars we have set our goal at four hundred pairs. These additional binoculars would make it possible to distribute sets of ten to each of the area CONAPAC schools for loan periods of three months instead of our current one-month rotation per school. This summer we were excited to receive a $1000 donation that will help us buy twenty new binoculars from Vortex, who has kindly offered to continue the donor discount originally offered to us by Eagle Optics. 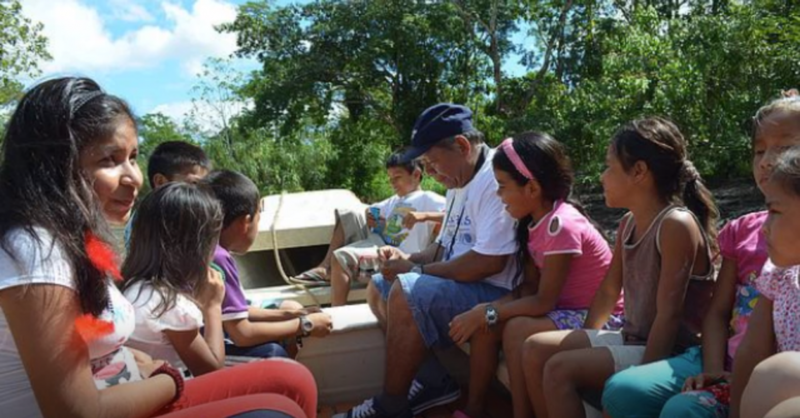 News about our success with the Amazon Binocular Project is spreading! Five years ago, I had a pivotal conversation with an extraordinary local guide, Lucio Pando, about his dream of teaching children in the Peruvian Amazon about birds. Lucio knew the key to fostering children’s appreciation for birds was in helping them to see the intricacies of their plumage and behavior. Lucio’s students needed binoculars! 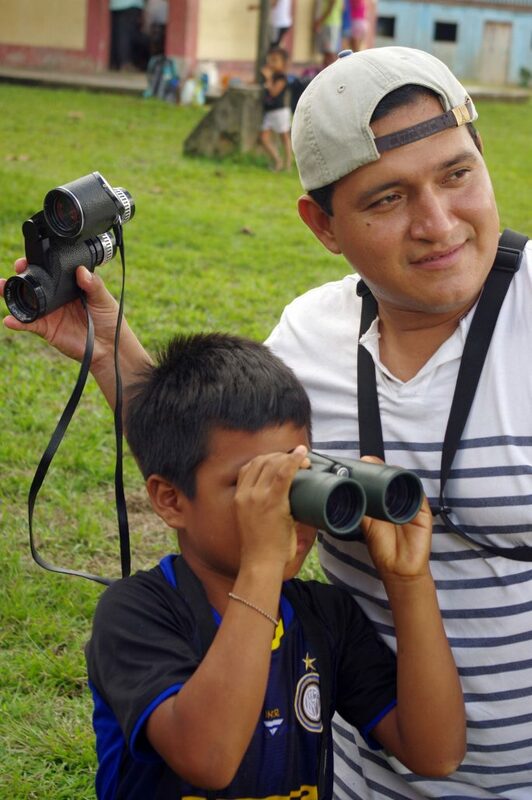 While Lucio, our beloved bird guide, is sorely missed, I’m sure he would be very proud of his friends working to make bird conservation education in the Amazon a reality. Please visit our webpage or contact us to learn how to donate funds and/or binoculars to the Amazon Binocular Project. Lucio Pando teaching a group of students. Winter bird watching is always a treat for birders due to predictable migration patterns. Gregarious bird species migrate in flocks, creating beautiful and easily identifiable displays during the colder months. 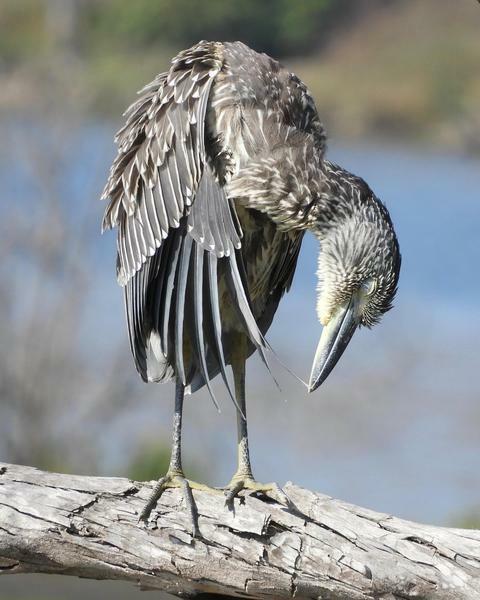 Winter bird watching can be chilly but well worth bearing the lower temperatures. Grab your phone and BirdsEye, and ensure that car is ready for the travels — put your all-weather tires on, check your spare has air, get an oil change and hit the road. Local wildlife and bird reserves are spectacular places to visit with a thermos full of coffee and a day of birding. The following are the top five birds worth traveling for to see this winter. 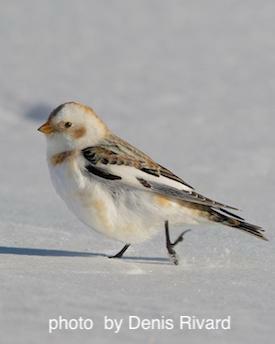 The Snow Bunting calls the arctic tundra home during the summer months but travels to the northern United States during the winter. These sparrow-sized birds build their nests in rock crevices that they line with the grasses, fur, moss and feathers they find. They travel and forage in large numbers, making them highly visible in large open fields. 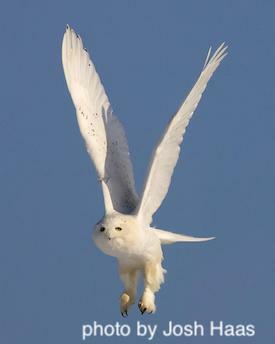 Females camouflage easily with the winter snow with their white chest and light brown wings. In the fall, you will see the males molting to achieve their striking black and white breeding colors. They will rub their wing tips against the snow to shed their brown tips to become completely black on their back and wings, keeping their pure white chest intact. 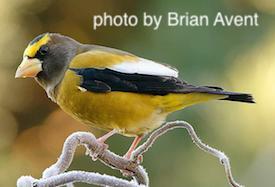 This finch can typically be seen as a flash of yellow against green conifer forests of the north throughout the summer. 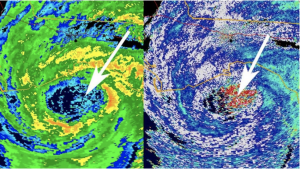 As the weather starts to turn colder they move to the southern states in search of food and warmer temperatures. These big-chested finches can often be spotted at your bird feeder for those that live in the southern half of the states. 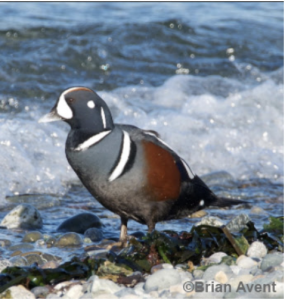 The males are strikingly colored with a bright yellow eyebrow streak and body. 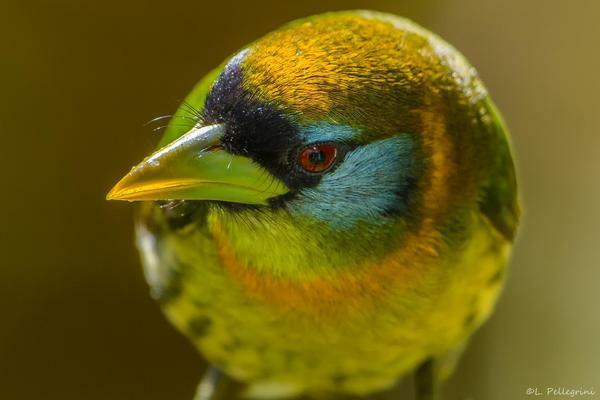 The females’ coloring is more subtle, but they do have a flamboyant green beak to marvel at. 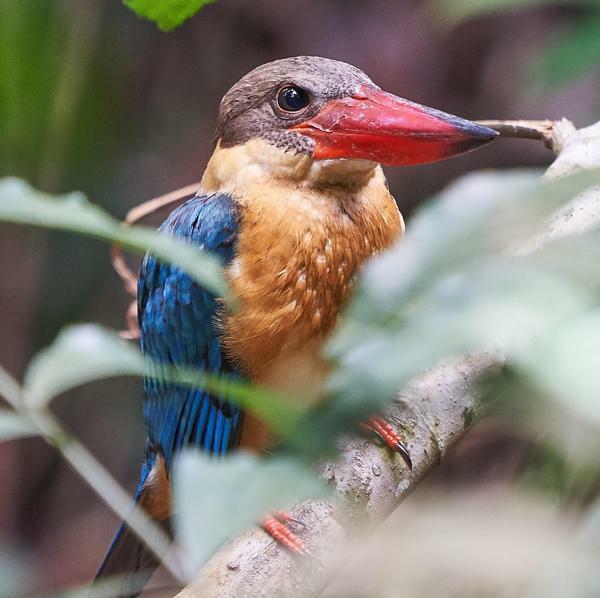 Enjoy the sightings of these birds when you can because they have become increasingly rare as their numbers have been steadily dropping for years. 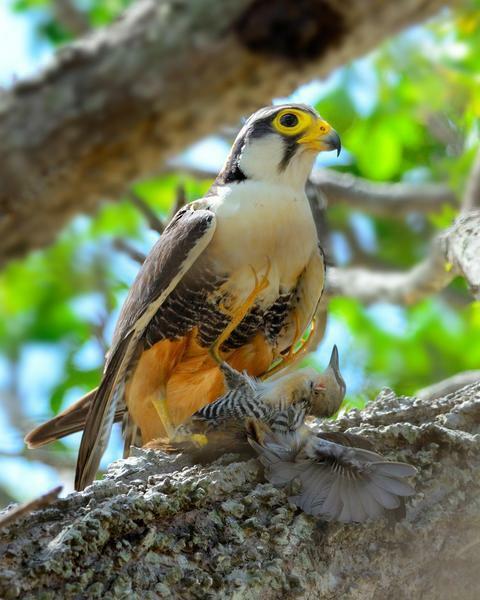 Large irruptions of this majestic bird occur every 3 to 5 years — the last big irruption was in 2013-2014, where they came down from the arctic to areas as far south as Florida. What makes the sighting of this owl noteworthy is that they are the largest of the owl family (by weight). They have catlike eyes and have been made popular with children through the Harry Potter films. They travel south from their remote breeding grounds of the arctic to hunt in the northern half of the states. It can be difficult to spot an older male in a snowy landscape as they become paler and almost entirely white as they mature. 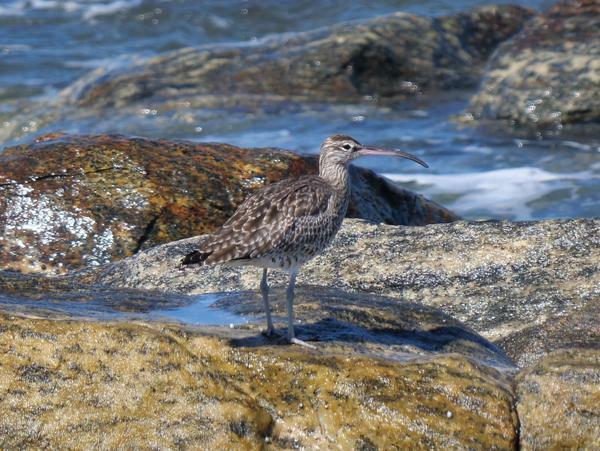 The females tend to have a more salt-and-pepper coloring that makes them more available to the birding eye. 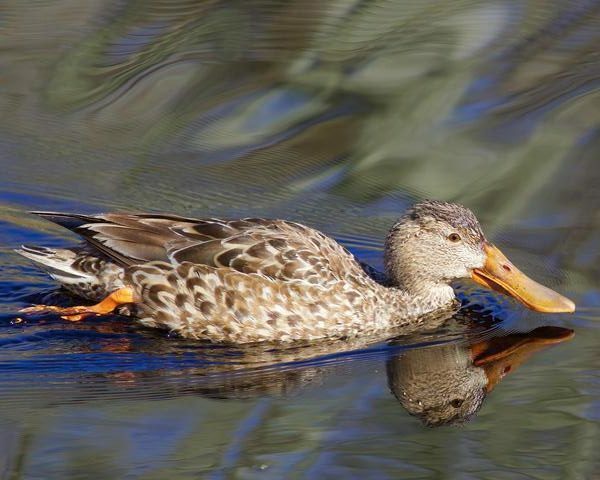 At the top of the food chain and an indicator species, these birds can be seen year round in the Rockies but tend to be more active in the winter as food becomes scarce. 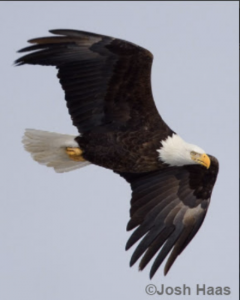 They frequent the mid to northern portion of the Rocky Mountains. 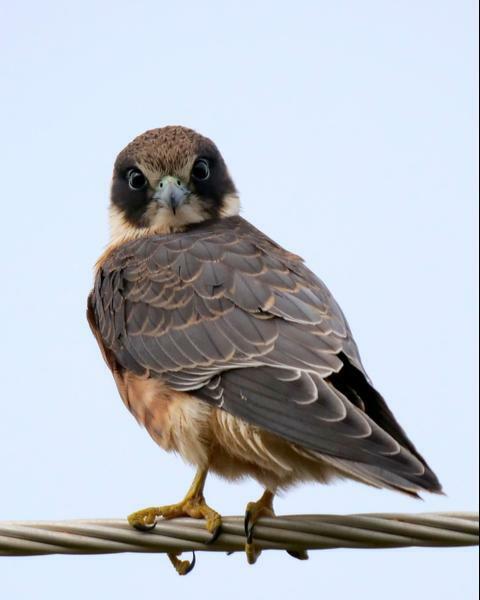 This predatory bird is one of the larger species of hawks and feeds on rabbits, squirrels and other birds found in the Rockies. 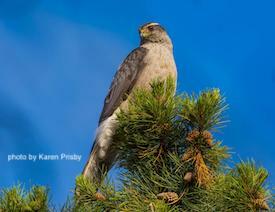 If you are wanting to catch a sight of a Norther Goshawk, look up. You will typically find them in the canopy of conifer and boreal forests searching for prey. Up there you will find these steel-grey winged birds with gleaming red eyes. Due to their speed and maneuverability, watching them hunt is an impressive show of skill and precision. These geese will likely be found congregating in the same places as their more common relative, the Canadian Goose. You can find this abundant species in colonies in many different areas throughout North America. 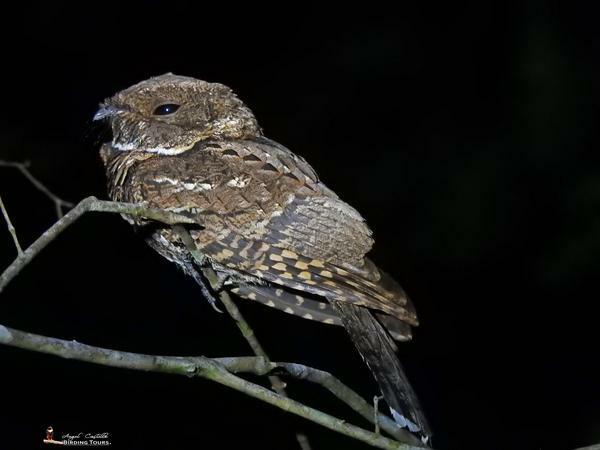 They are most often found in western California, the Gulf Coast of Texas and Louisiana, the coast from New Jersey to North Carolina, Iowa, Nebraska and throughout the southwest. 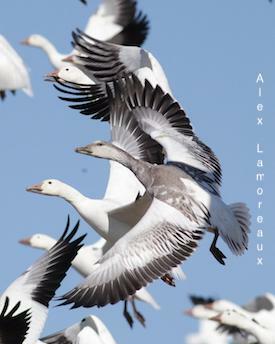 When these high-flying birds fill the sky, they look like large snowflakes about to come raining down upon the earth. This species is dimorphic and comes in two different colors: blue and white. The dark allele (blue) is dominant to the light (white). Once you catch sight of a flock, you can sit and enjoy them for quite some time. They are a foraging species and will spend an enduring length of time in a single area before moving on. If you don’t feel like traveling for this year’s fall and winter bird watching, simply travel to your backyard. Wild birds appreciate the feeders that you set up in your yard and will likely visit them to stockpile on energy reserves before making their migration south. You may be lucky enough to live in an area that you can see one of the five birds listed above from your kitchen window. 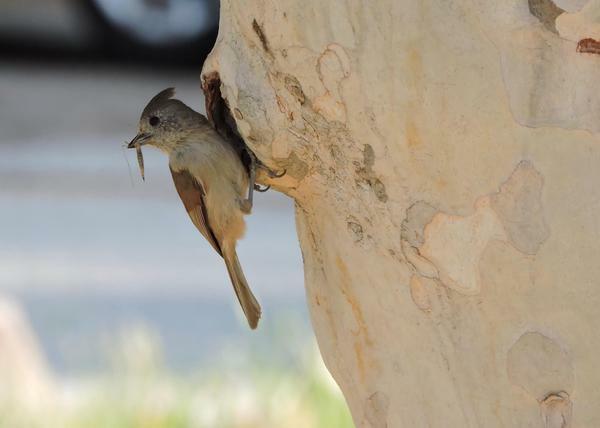 Backyard feeders are also helpful to migratory birds passing through when food sources start to become scarce and provide a readily available, nutrient-dense meal. If you create a continuous supply, birds will imprint on the location and return in the fall or keep around winter species all season long. You can plan out your route to move across the northern United States using BirdsEye to catch a sight of all five of the wintering birds that come to spend their time there. When you return from your trip in the late fall and early winter, make sure to winterize your RV, car or truck so that you are ready to hit the road in time to catch the spring migration. Happy winter trails and bird watching!